Major political parties: Governing coalition: Unity, Zatlers Reform Party , National Alliance All for Latvia- For Fatherland and Freedom/LNNK. UK Trade & Investment Country Profile: Latvia (http://www.uktradeinvest.gov.uk/ukti/latvia) . Following Latvia’s accession to the EU in 2004, Latvia enjoyed a period of record-breaking growth: annual real GDP peaked at 12.2% in 2006, and all the more impressive wage increases hit 19.9% in 2007. But domestic demand grew excessively, especially private consumption and real estate investment, fuelled by cheap credit. The economy developed dangerous imbalances that were exacerbated by the global financial crisis. GDP growth turned negative in 2008 and the 18% contraction in 2009 was Europe's highest. In December 2008, the Latvian Government secured a 7.5 billion EUR loan from IMF/EU and began measures to stabilise the economy, including structural reforms. In first quarter 2010, after exports and industrial production picked up, GDP recorded its first quarter-on-quarter growth in nearly two years. Despite a large fiscal deficit, Latvia aims, through co-operation with the IMF-led programme, to achieve the Maastricht criteria and join the euro-zone in 2014. Latvia finishes the IMF-led loan programme in end 2011, and the Bank of Latvia forecast for 2011 GDP growth is about 4%. Latvia first gained independence in 1918. In 1940-41 it was occupied by the Soviet Union under the provisions of the 1939 Molotov-Ribbentrop Pact with Nazi Germany, by Nazi Germany from 1941-1944, and again by the Soviet Union from 1944-91. The more tolerant political atmosphere in the Soviet Union under Gorbachev in the late 1980s allowed pro-independence and reform groups to come to the fore. Independence was proclaimed in May 1990, but it was not until the attempted Moscow coup on 19 August 1991 allowed Yeltsin and his followers to come to power that Latvia approved the constitutional law and fully proclaimed itself an independent country once again. This announcement was made on 21 August, and Iceland became the first country to officially recognise the re-independence on 23 August. Under the Nazi occupation the significant Jewish community was practically wiped out; under the Soviet occupation thousands of Latvians were deported to Siberian camps, executed or forced into exile. Society and industry were modelled along Soviet lines and absolute power rested with a Communist regime under Moscow's control. Deportations and an influx of Russians into Latvia during the Soviet period have resulted in a situation in which native Latvian speakers comprise only 59% of the population. As of July 2010, 15% of Latvian residents do not have citizenship (source: www.pmlp.gov.lv): the majority of these people are Russian-speaking. By the 1998 citizenship law (ratified by a referendum) they have the right to apply for citizenship, but must pay a fee and demonstrate their loyalty to the state by passing a Latvian language and history exam. The rate of naturalisation has increased in recent years, possibly partly encouraged by Latvia’s membership of the EU. In 1996 the number of non-citizens stood at 670,478, representing 27.15% (source www.csb.gov.lv) of the country’s population, having now dropped to 335,918 people, which represents 15% of the population (source: www.pmlp.gov.lv (http://www.pmlp.gov.lv) ). Since regaining independence, Latvia has joined the EU and NATO and works closely with other Baltic Sea states, seeing cooperation as a means for progress and prosperity. Riga is the largest city in the Baltics and a popular tourist destination, with an enviable old town boasting art nouveau architecture amongst many other admirable buildings. The UK has historically strong links with Latvia. Latvia’s struggle for independence in 1918 was assisted by the Royal Navy (supported by the French navy). 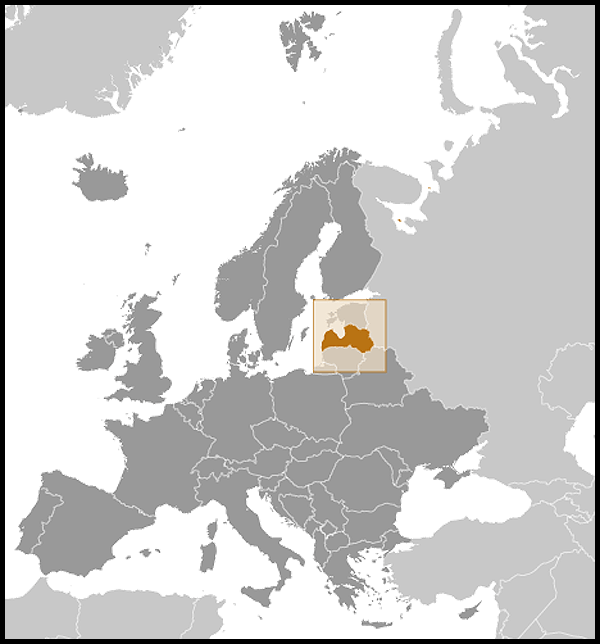 The UK never recognised de jure Latvia’s annexation into the Soviet Union in 1940, and recognised the re-independence along with the rest of the EU partners on 27 August 1991. Diplomatic relations between the UK and Latvia were restored in early September 1991 and the British Embassy re-opened in Riga in October of the same year in the building it had occupied prior to Soviet occupation. The UK gave development assistance to Latvia on the run up to EU membership and has provided considerable training for Latvia’s military forces prior to NATO membership and via NATO initiatives in more recent years. The UK and Latvia often have a similar stance on EU and NATO agendas and the current UK and Latvian governments enjoy a cooperative and friendly relationship. The British Council has an office in Riga which has an active programme of events, follow this link to the British Council in Latvia website. (http://British Council in Latvia website.) Latvia has signed a memorandum of understanding to promote culture and education with the Welsh Assembly, who also conduct an active programme of events. Latvia maintains close ties with Estonian and Lithuania, cooperating in many regional political and defence initiatives. Latvia also has good and increasingly close cooperation with Nordic neighbours and is an active participant in regional fora. Latvian-Russian relations continue to be complicated by questions concerning the rights of the ethnic Russian minority in Latvia. Russian allegations of systematic violation of the human rights of ethnic Russian people in Latvia have been declared unfounded by UN, OSCE and Council of Europe experts, as well as human rights organisations in Latvia. Also difficult issues in the relationship with Russia are the language and education laws introduced to see a progressive transfer to a predominantly Latvian language. The High Commissioner for National Minorities has affirmed that these laws are in line with international norms, but language remains a sensitive issue with pro-Russian political parties preferring to see Russian adopted as a second official language. Relations with Russia have however improved in recent years, particularly after the signing, in 2007, of a border agreement, initially stalled by historical land issues. Latvia joined NATO in April 2004. Latvian soldiers have participated in peacekeeping missions in several countries including Bosnia, Kosovo and Iraq and make a significant and important troop contribution in Afghanistan. They have maintained their commitments in Afghanistan despite the harsh economic climate that the country has been exposed to. 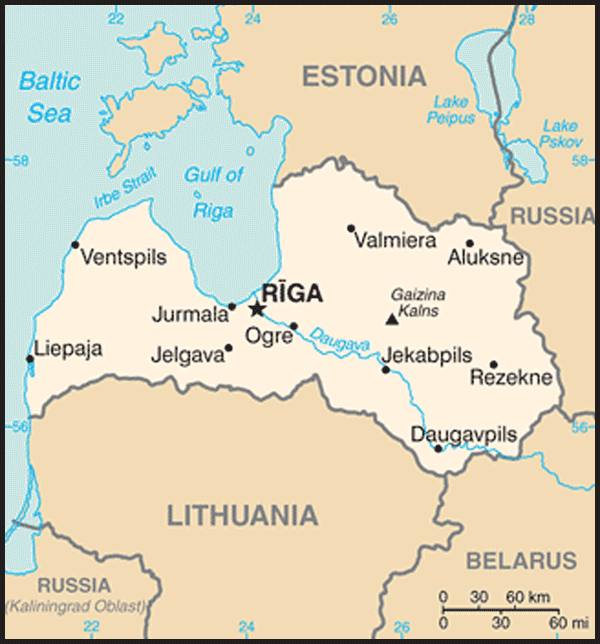 Latvia hosted the NATO summit in Riga in November 2006, and the NATO Parliamentary Assembly in May 2010. 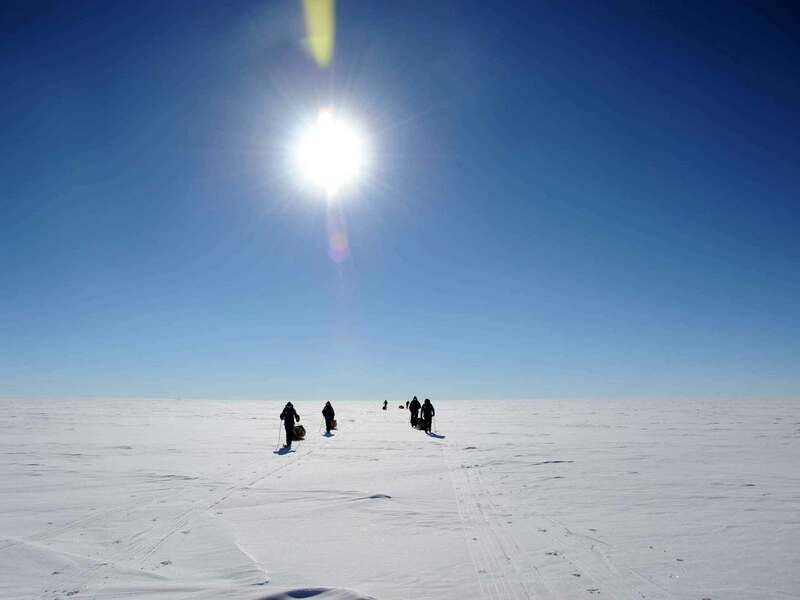 The country is flat and forested, with some rolling terrain in the south-east where many lakes lie. The highest point in Latvia is Gaizinkalns (312 m) in the south-east. The 1030 km River Daugava enters the Baltic Sea in Riga Bay. In 2010 Latvia’s biggest trading partners were Lithuania, Russia, Germany, Estonia, Poland and Sweden. The UK was Latvia's 8th largest export partner and the 15st largest import partner in 2009. The statistics for the first 3 months of 2011 compared to the same period in 2010 indicate that the trade relationship between the UK and Latvia has significantly strengthened in 2011. According to the HM Revenue & Customs year-to-year data, export (trade in goods) from the UK to Latvia increased by 77% (January-March); UK imports (trade in goods) from Latvia have also increased in the same period of 2011 if compared to 2010. In 2010 the largest groups of commodities imported from the UK to Latvia were machinery and mechanical appliances and electrical equipment (27% of the total UK export to Latvia) followed by textiles and textiles articles (15%), chemicals and allied industries (14%), and metal industry products (10%). Latvias export to the UK mainly contains wood and articles of wood (69% of total import from Latvia) as well as base metals and articles of base metals (6%%) and textiles (4%). The service trade between both countries is mostly with transport, communications and tourism services. For more information on general figures and trade opportunities, visit the UK Trade & Investment Country Profile: Latvia (http://www.uktradeinvest.gov.uk/ukti/latvia) . Latvia also has an active British Chamber of Commerce, for more information visit the BCCL website (http://www.bccl.lv/) . Outgoing president Valdis Zatlers proposed a referendum, which dismissed the Latvian parliament Saeima due to links with oligarchs in spring 2011. As a result an extraordinary election was held on 17 September 2011. Results of the elections to the 100-member Saeima were as follows: Harmony Centre 31 seats; Zatlers Reform Party 22; Unity 20; National Alliance 14; Greens and Farmers 13. A new government was approved on 25 October 2011 with Valdis Dombrovskis staying as PM. The new coalition comprises Dombrovskis' centre-right Unity, the centrist ZRP and the nationalist National Alliance, as well as six independent MPs. The coalition controls 56 seats. The Pro-Russian "Harmony Centre" was nominal winner of the election, but they were not included in the coalition. Turnout for the election was a solid 63%. The previous elections were held on 2 October 2010. Despite presiding over a series of tough austerity measures in 2009 and 2010, the Unity grouping, led by Prime Minister Dombrovskis, polled first. Valdis Dombrovskis came to power in February 2009 when the previous government collapsed following the economic crisis. His government implemented tough austerity measures, with GDP falling by 18% in 2009 and unemployment reaching 20%. He campaigned on the need to stay the course and comply with the terms of the IMF/EC agreement. In June 1993 Latvia's first post-independence parliamentary elections resulted in the formation of a minority centre-right nationalist coalition government committed to free market reform. Centre-right governments have been the norm since then. The 100-seat Saiema (parliament) is identical to the legislature, which existed before the Second World War. Deputies (MPs) are elected for a four-year term. The President is currently elected by parliamentarians for a four-year term and can hold office for no more than two consecutive terms. Any Latvian citizen enjoying full rights over the age of forty may be elected. People holding dual citizenship cannot stand. In July 2011 Andris Bērziņs was elected Latvia’s new President, taking over from Valdis Zatlers. Before Zatlers the long-standing incumbent President Vaira Vike-Freiberga, had been in office for the maximum two term period.